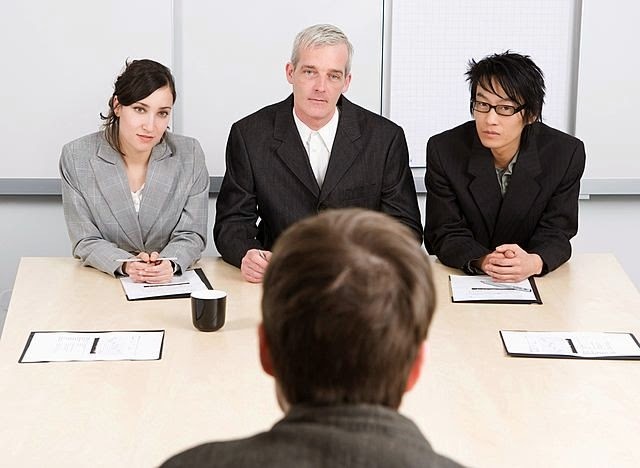 Over the next few weeks, we will listen to interviews and think about how to answer some interview questions. Here at VILC is a video interview with an Ambulance officer who describes how she copes with night shift work. You'll have to log in to VILC with Username: 500vilcst and our password for 2014 (see noticeboard in the computer room for that). There are tasks to complete after listening to the video. You can also download the video to listen again. Find more information about being an Ambulance paramedic here and here at ACE jobs. What are some of the challenges of being an Ambo? Think about the job duties (tasks) and the working conditions (the patients and the stresses). 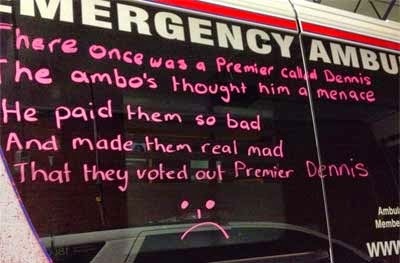 Why do Ambos vehicles have writing all over the windows?! Have you noticed that many ambulances have writing on their windows? Here is the story of the industrial dispute (fight) they are having with their employer (the Victorian government). We are going to practice answering some common interview questions in relation to some volunteer jobs. The position of 'Walk with me' has gone now but there are other positions available at the website 'Go Volunteer' where you can locate suitable volunteering jobs that meet your needs and requirements. Which of the jobs are you most interested in? Why? What special qualities or skills can you bring to this position? Thanks to Business English magazine for this image.